Am I entitled to benefits if my loved one died at work? Unfortunately, workplace fatalities happen in Ohio. In 2016, 164 workers died on the job here. Transportation accidents, violence, falls, and exposure to harmful substances combined to account for 85 percent of on-the-job deaths. If you lost a spouse or parent due to a workplace accident, you might be entitled to compensation through the workers’ compensation system. The Ohio Bureau of Workers’ Compensation (BWC) offers two types of benefits, depending upon the circumstances of death. If your loved one passed away while collecting temporary total or permanent partial disability, you might be owed accrued compensation. If your spouse or parent dies on the job, or even years later as the result of a work injury, you yourself may be eligible for workers' comp death benefits. Accrued compensation. If your loved one is collecting workers’ comp because of an allowed injury or occupational disease and dies—no matter what the cause of death is—the BWC will pay his or her dependents the unpaid portion of his compensation award. This money may be paid to dependents, providers of services related to the death, or the deceased's estate. An application for accrued compensation must be submitted to the BWC within two years of the death date. Death benefits. 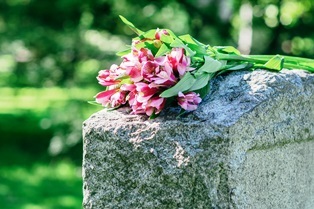 Ongoing death benefits are available to the surviving spouse and children under age 18, full-time students, and mentally or physically disabled dependents. The BWC divides the available benefits among all eligible dependents, and benefits continue for as long as these dependents qualify. Medical and funeral expenses are also covered up to $5,500. Dependents must apply to the BWC for these benefits. Your loved one worked hard to take care of you during his or her lifetime. These benefits are available to help a deceased individual continue to provide for family members. As a workers’ compensation attorney in Ohio, I help injured workers get the benefits they deserve when they're injured or become ill at work. I also help their eligible survivors receive financial support when their loved one has died. For more information and a personalized assessment of your claim, contact us to begin your initial consultation. We understand this is a challenging time for you, but we think you'll find we're easy to talk to and will help you navigate your legal situation, even if it turns out you don't need a lawyer. Meanwhile, request our free guide to Ohio workers’ compensation. Read this before you hire anyone.